Red Rooted Sage plant, Salvia miltiorrhiza, is also known as Dan Shen, Chinese Sage and Red Sage. An important herb in Chinese medicine, the part used being the red coloured root. Traditionally used for heart and nervous conditions. Large, decorative sky blue to purple flowers. 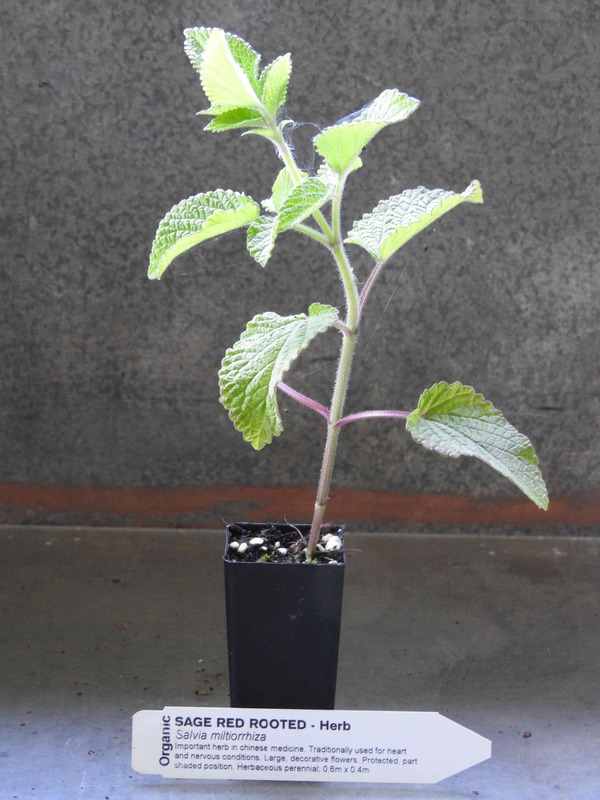 Red Rooted Sage plant is native to China and prefers moist, well-drained soils in a protected, part-shaded position. Drought and frost resistant. A perennial plant, growing to 0.6m x 0.4m. Be the first to review “Sage, Red Rooted plant” Click here to cancel reply.